Bamboo (Bambuseae) is one of the 'Four Gentlemen' (bamboo, orchid, plum blossom, and chrysanthemum) in Chinese gardens. This plant has been endowed with the characteristics of tenacity, uprightness, and humility, as it has a hollow heart and grows upright. 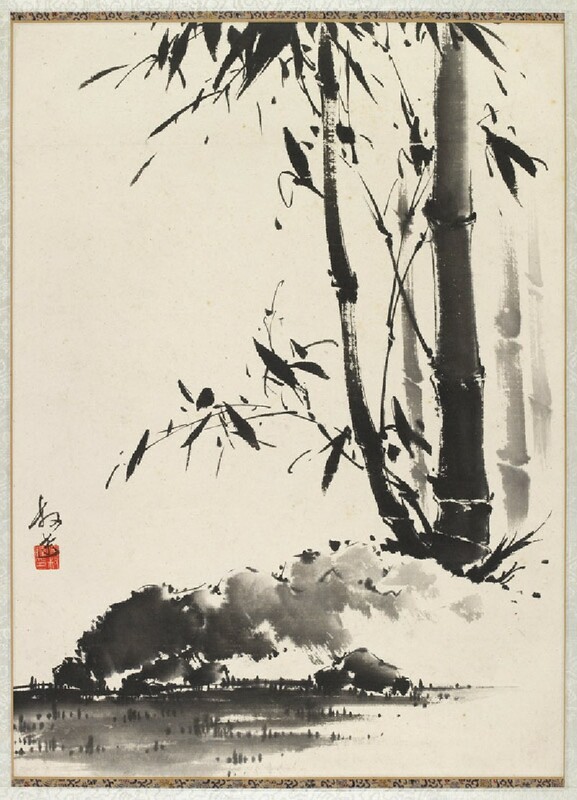 Fu Shuda (died c.1960) shows excellent use of ink on this depiction of bamboo and rock, which demonstrates distance and chiaroscuro by ink in different tones. This painting may be an illustration of Zheng Xie's (1693-1766) famous poem on bamboo growing out of rocks, admiring the toughness of this plant.